Whoa!! It's almost the end of January! 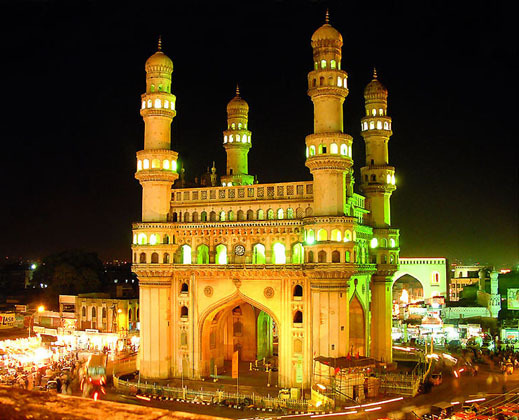 My birthday is tomorrow and it will be the second one I have spent "At Home in Hyderabad" It is hard to believe that we have been happily living in India for almost 20-months!! If Amy Suzanne had not gotten her extension, we would be starting the process of ending our ex-pat assignment here and packing for going home in June. I really need to keep at this blogging project....there is just so much information, so many photographs...and I promised Amy that I'd finish before we go to Goa early next month for the Deloitte USI Partner/Director Retreat there. We just got back from a quick trip to Delhi for a recruiting trip and I didn't have time to write at all. Today is "Republic Day" here in India and most places are closed... I think Amy will go into the office anyway to get some things done as the traditional Tax Busy Season is now officially here! Let's see....where did we leave-off?? After we left Tarangire, we headed for a smaller, more compact game preservation area in a place called Lake Manyara. Stretching for 50km along the base of the rusty-gold 600-metre high Rift Valley escarpment, Lake Manyara is a truly a scenic gem, with a setting extolled by Ernest Hemingway as “the loveliest I had seen in Africa”. Our guide-book said that "The compact game-viewing circuit through Manyara offers a virtual microcosm of the Tanzanian safari experience." Actually...in the "animal department, we were a little disappointed, but the place was certainly beautiful! From the entrance gate, the road winds through an expanse of lush jungle-like groundwater forest where we saw hundred-strong baboon troops lounging and playing nonchalantly along the roadside and blue monkeys scampering nimbly between the ancient mahogany trees. There are distinctly different ecological areas within this park area. And they are noticeable as you drive into the park. Contrasting with the intimacy of the forest is the grassy floodplain and its expansive views eastward, across the alkaline lake, to the jagged blue volcanic peaks that rise from the endless Masai Steppes. We saw large buffalo, wildebeest and zebra herds congregating on these grassy plains, and several giraffes – some so dark in coloration that they appear to be black from a distance. Inland of the floodplain, a narrow belt of acacia woodland is the favoured haunt of Manyara’s legendary tree-climbing lions (although here we didn't see any!) and impressively tusked elephants. Squadrons of banded mongoose dart between the acacias, while the diminutive Kirk’s dik-dik forages in their shade. Pairs of klipspringer are often seen silhouetted on the rocks above a field of searing hot springs that steams and bubbles adjacent to the lake shore in the far south of the park. Our hotel for the night was up on an impressive hill formed by the Rift Valley millions of years ago. I must say that the view (and the bar overlooking the lake and valley below!!) was beyond spectacular and all expectations!! The Lake Manyara Hotel is very well located and built. Management seemed a bit cold going by the overall warm standards of the hotels in this part of the world. Rooms are a bit cramped and food is not so generous as in other competing properties like Sopa. It didn't help matters any when we found out they had mis-filed our reservations under a different name and it took a while to get things right (we waited in the bar, which helped speed things along) - - also - it was at this hotel that we had to have words with our hotel neighbors. The walls were very thin and the group of people (and I do mean a GROUP) were noisy-beyond-belief and we asked nicely twice to have them "STFU!!" ...and finally felt it necessary to call the front desk. The next morning we took a beautiful drive toward the Ngorongoro Crater and our next stop...the Plantation Lodge. Both are equally spectacular in their own way!! That says a lot for the Plantation Lodge. Before we go to the photos...I need to say a bit about both places. The Ngorongoro Crater is really other-worldly - as you drive down to the bottom, descending through the rain and clouds, it's like going through a time-portal to prehistoric times. The concentration of wildlife here exceeded all expectations...here we saw lions and rhinos and elephants and - - well - - just about anything you might expect to see on safari. My comment to Amy was: "Honest to God! If I saw a Tyrannosaurus Rex eating a Brontosaurus - it would look perfectly normal here!" The "Plantation Lodge" just may be the nicest place we have ever stayed. And having stayed at the Falaknuma Palace in Hyderabad, the Leela Palace in Bengaluru and the Jai Mahal Palace in Jaipur - this is the highest praise I can give to a hotel. But the Plantation Lodge is not just a hotel...it's - - well... I will let the photos (below) tell the story. We stayed in the Zanzibar Suite... a fabulous and huge suite with an upstairs loft and it's own patio and garden. It was so nice...that we decided that it was too nice to leave...so we didn't!! 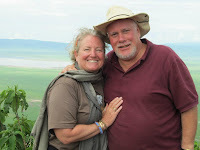 We ended up touring Ngorongoro and then staying until after the New Year!! Once again, Eve Wertsch from Fugazi Travel to the rescue...despite the holidays, she was able to make the arrangements for our staying longer and changed our flight-times home!! Yeah, the place looks very nice - very lounging atmosphere at the background. local house shifting services gurgaon.